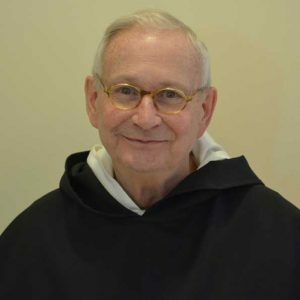 SINSINAWA, Wis.— As part of their celebration of the 800th Jubilee of the Order of Preachers, the Dominican Sisters of Sinsinawa will host a Jubilee lecture by Don Goergen, OP, Ph.D., a Dominican priest, teacher, lecturer and author on Saturday, June 18. Goergen has published many articles and 10 books in the areas of Christology and Christian spirituality. His latest book, St. Dominic: The Story of a Preaching Friar, is now available from Paulist Press and will be the focus of his talk, “The Charism and Legacy of Dominic.” A book signing will be held at 12:30 p.m. with the lecture beginning at 1 p.m. The event is free and open to the public. Copies of the book will be available for purchase in the Sinsinawa Book and Gift Gallery before and after the lecture. For more information, contact Sister Priscilla Wood, OP, at 608-748-4411 or visit our website at www.sinsinawa.org. Sinsinawa Mound, the Motherhouse for the Sinsinawa Dominican Sisters, is located in southwest Wisconsin on County Road Z, off Highway 11, about five miles northeast of Dubuque.